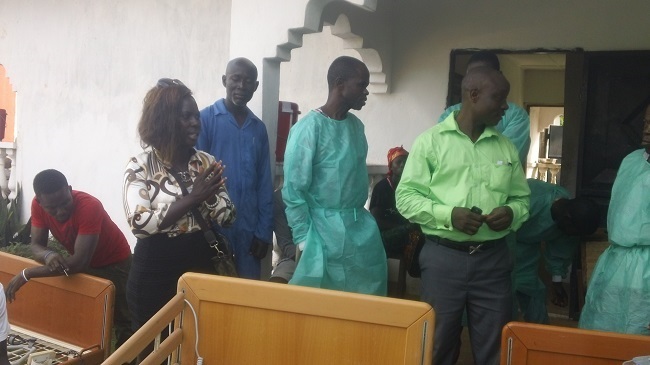 As you are all aware, the interim leadership of LAH ( Liberian Association in Holland) in collaboration with Liberian in Action NL in person of Belloh Comfort Williams, made a trip to Liberia on Dec. 23, 2014, in other to facilitate the distribution of the two contianers full of medical items to fight ebola. Please note that during that trip, I worked in collaboration with the Ministry of Health, the county’s health office, the national ebola command center, the World Food Program(WFP), General Services agency(GSA) and many other institutions that are making the ebola virus now a history in Liberia. We Liberians living in Holland have shown that we have fought our fight, to help stop ebola. A preparation for a general meeting of LAH is underway with a place and date being arranged. The agenda during that meeting will be, amongst other items, a PowerPoint presentation of the distribution of all medical supplies to the nine(9) medical facilities in and around Monrovia, including Redemption Hospital (see photos of a few). Discussing the way forward for LAH.